Standard prewired control panels with keyed switches for clamp controls and standard switches for die lift controls. Includes pilot lights for power on, slide clamped and bed clamped. Latching relays are used for bottom dead center and press enable circuits. 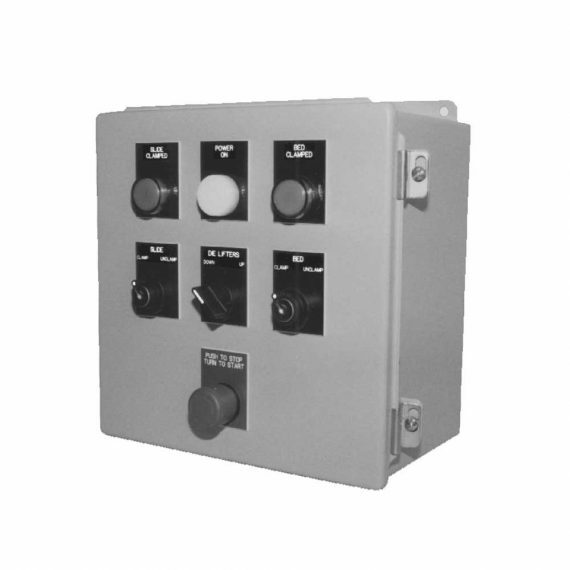 The control panel operates with 110 control voltage. Suitable for use with most Hilma power units.